HUNTINGTON HARBOUR — The Log covers quite a bit of territory when it comes to news coverage and the occasional feature story. One area rarely caught on our editorial radar is Huntington Harbour. 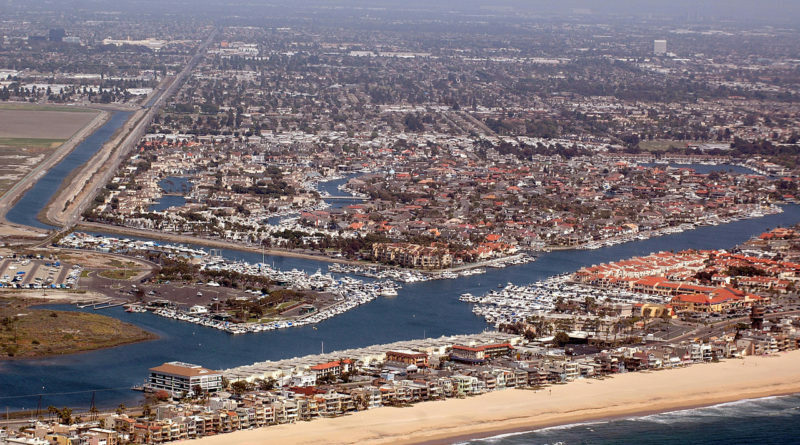 Construction on Orange County’s northwestern-most marina began about 55 years ago, with a price tag of about $200 million – or about $1.6 billion in today’s dollars, when adjusted for inflation. Huntington Harbour was built on the former site of the Sunset Bay Estuary wetlands; within its confines are five man-made islands: Admiralty, Davenport, Gilbert, Humboldt and Trinidad. Surrounding the harbor and man-made islands are Bolsa Chica Ecological Reserve, the Naval Weapons Station in neighboring Seal Beach and a stretch of Pacific Coast Highway. However the area we now know as Huntington Harbour could have played out a little differently, based on information provided in a community profile published by the Los Angeles Times in September 1988. Huntington Harbour was originally a swamp property owned by Phillip Stanton, a one-time Assembly member who is also the namesake of the city of Stanton. The former legislator hoped to convert the swamp into another Atlantic City. Henry Huntington of Huntington Beach fame would purchase the marshland from Stanton in 1901, according to the Los Angeles Times profile. It wasn’t until 1963, however, that Christiana Corp. would oversee the creation of five man-made islands and overall development of Huntington Harbour. Orange County’s northwestern-most harbor is now home to waterfront homes, marinas, a fuel dock, boating activities and personal watercraft rentals.